G heading out on the bike! Speaking of racing, it's funny how your perspective changes as the summer rolls along and you get into a groove. 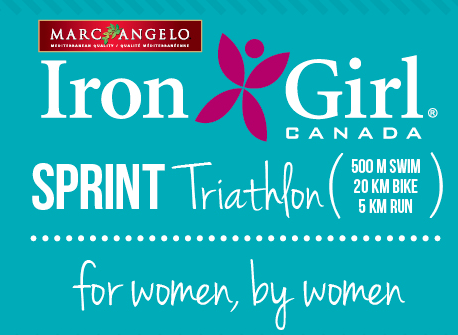 I was actually contemplating signing up for Bracebridge (especially with the arrival of Tom Sawyer) when the folks from Skinnygrape contacted me and asked if I'd be interested in racing in the Iron Girl Triathlon on the Sunday of the same weekend. Well let me see....Ok twist my rubber arm. They made me an offer I couldn't refuse. They sponsored me into the race, sent me some excellent wine (review to come soon! ), some cute swag, gave me items for a giveaway AND they've given me a gift certificate to Body Blitz to enjoy after the race. I call that winning. Thank you Skinnygrape! I'll be stopping by the booth at the expo tomorrow for sure! I'm really looking forward to participating in this event. There are a couple of other ladies I know from various social media channels that are also doing it so to anyone that follows me on instagram, I'm apologizing in advance for blowing up your feed, ha ha. I've done women's only running races but I've never done a women's only triathlon. If the vibe is anything like the women's only running races I've done, I suspect it's going to be a blast. I love that it's also fairly close to home, which is a really nice change of pace (no cottage country traffic, yeah!) It's in Grimsby so we'll be swimming in Lake Ontario. Here's hoping it's not freezing cold! The weather looks fabulous AND it will be Tom Sawyers first tri. I can't wait!